G. E. BENTLEY, JR., Professor at the University of Toronto, has published biographical, bibliographical, and editorial works about Blake. 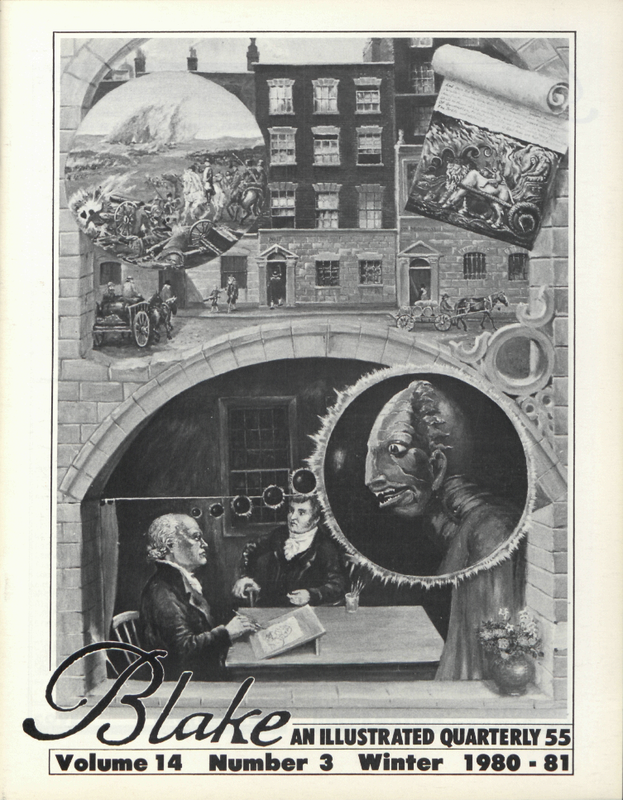 STUART CURRAN, Professor of English at the University of Pennsylvania, is coeditor of Blake’s Sublime Allegory. His most recent book is Shelley’s Annus Mirabilis: The Maturing of an Epic Vision. JOHN E. GRANT, Professor at the University of Iowa, is coeditor of Blake’s Poetry and Designs (Norton, 1979) and William Blake’s Designs for Edward Young’s Night Thoughts (Clarendon, 1980). NELSON HILTON, Professor at the University of Georgia, is Blake Quarterly’s review editor. 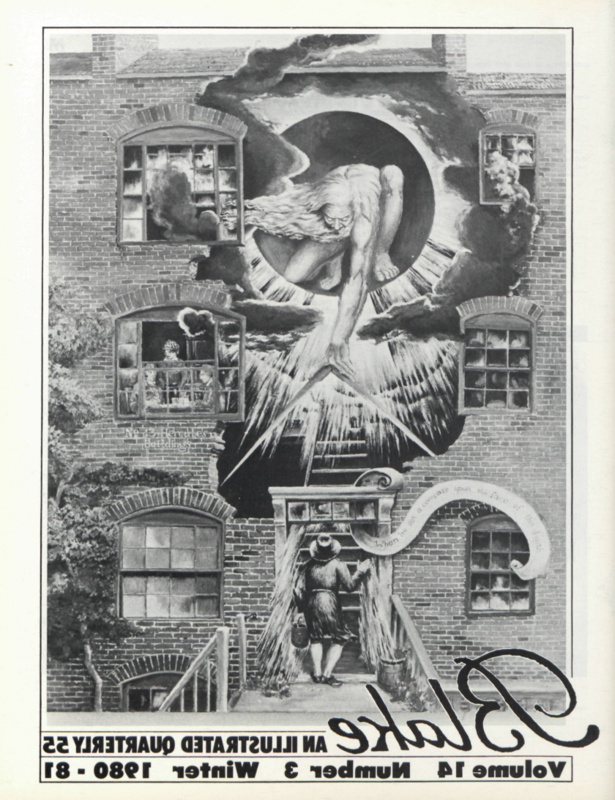 BO LINDBERG, whose 1973 dissertation was on Blake’s Job engravings, is an artist and art historian teaching at the University of Lund in Sweden. ANN BERMINGHAM MILLER is currently completing a Ph.D. dissertation on “The Ideology of Landscape: Gainsborough, Constable, and the English Rustic Tradition” for Harvard University. W. J. T. MITCHELL is the author of Blake’s Composite Art and editor of Critical Inquiry. He has edited a volume of essays, The Language of Images, which is forthcoming from the University of Chicago Press in the fall of 1980. E. B. MURRAY has published a book on Ann Radcliffe, articles and reviews on Shelley and Blake, and is currently preparing an edition of Shelley’s prose for Oxford University Press. ALICIA OSTRIKER is the editor of the Penguin Blake: Complete Poems, which includes full annotation and glossary. She is presently cogitating on the theme of Blake and sexuality. DAVID SIMPSON is a Fellow of King’s College, Cambridge. He is the author of Irony and Authority in Romantic Poetry and of the forthcoming Wordsworth, Dickens, Conrad: The Figuring of the Real. HOYT TROWBRIDGE, an Emeritus Professor of English at the University of New Mexico, is best known for his studies of eighteenth-century critics, including Hurd and Joseph Warton, and for papers on literature and history of ideas in that period. Bo Ossian Lindberg describes his Life and Works of William Blake, a series of paintings executed in 1978 and 1979, as “ . . . seven paintings in oil on canvas, each 116 × 89 cm., painted 1978-79. They are: (1) William Blake, age 12, autumn 1769, going from his parents’ house, 28 Broad St., to Par’s drawing school in the Strand. (2) Blake making a measured drawing of Countess Aveline’s tomb, Westminster Abbey, 1779. William and Catherine experiencing the pleasures of married life, 23 Green Street, 1782. 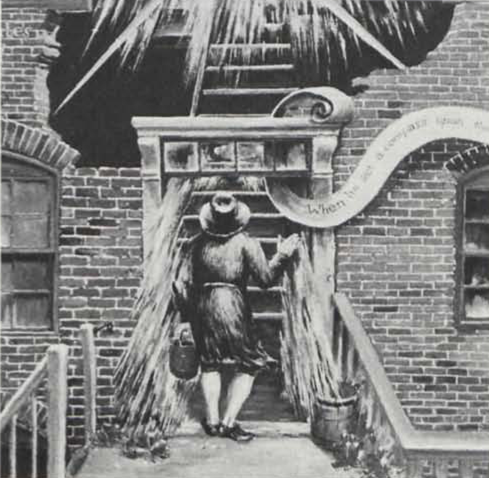 (3) Robert’s death, February 1787, 28 Poland Street. His spirit flies through the ceiling, clapping its hand for joy, William & Catherine watching. (4) Blake sees the Ancient of Days at no. 13 Hercules Building, Lambeth, c. 1791. In the window Catherine, Flaxman, Fuseli—anachronism ignored, I wanted the friends in. (5) Blake throwing the soldier out of his Felpham garden, 1803. Blake rewrites Night VII transcribed and illustrated. (6) Blake’s house 17 South Molton St. 1803-21, Napoleonic wars and page of Jerusalem inserted. Blake drawing The Ghost of a Flea 1819, John Varley looking on. (7) Blake engraving pl. 14 of his set of engravings for the Book of Job, Catherine grinding paint. Their friend Samuel Palmer climbing the stairs and a chimney sweeper shouting “weep weep.” 3 Fountain Court, 1827.”[e] We reproduce numbers 4 and 6. EDITORIAL ASSISTANT IN CHARGE: Susan Corban, Univ. of New Mexico. EDITORIAL ASSISTANTS: Wayne Erickson, Wendy Jones, Kris Lackey, Univ. of New Mexico.